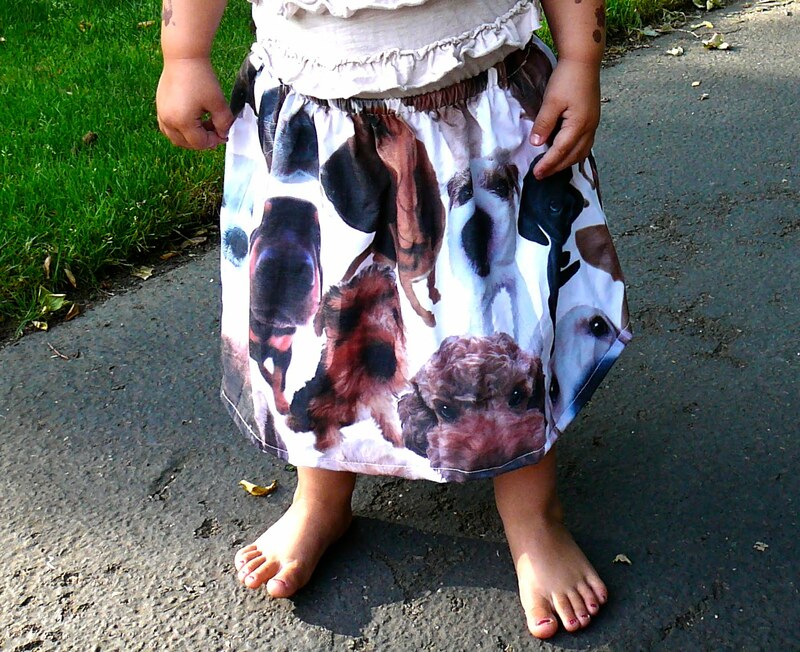 So this is kind of random, but my mom-in-law gave me this skirt she had made as a joke for her daughter. She thought it would be cute re-made for my little girl. I cut it down, tightened the elastic, and wa-lah, she now has her own doggy skirt. It's a little bit funky, but for a little girl who wakes up and the first thing out of her mouth is "woof," it's perfect.